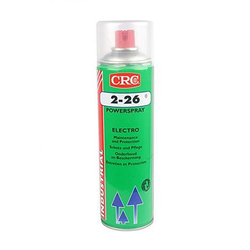 Our product range includes a wide range of crc 2-26, crc plastik 70 coating spray and wd-40 420ml. The PLASTIK 70 400ML is an universal Conformal Coating for printed circuit board. A quick drying, transparent acrylic resin based, transparent insulating coating. Protects against normal atmospheric influences. Fixes vibrating components. One can - thousands of uses. The multi-purpose lubricant, NEW 420 ml wd-40 protects metal from rust and corrosion, penetrates stuck or jammed parts, . Looking for Electrical Contact Cleaning Spray ?